All you need is a pair of decent shoes, and there you go. That said, the sport is also high impact. In fact, staying healthy while running— avoiding discomfort, pain, and injury —is no easy feat. After a decade of running and learning a lot about the sport, I’ve found that pain-free training comes down to implementing a few strategies. In this article, I’m going to share with you some of these guidelines. Apply them today, and you’ll reduce the risks of injury, increase your comfort, and make running as smooth as possible. Beginners, or those coming back to running after a long layoff, pay attention. 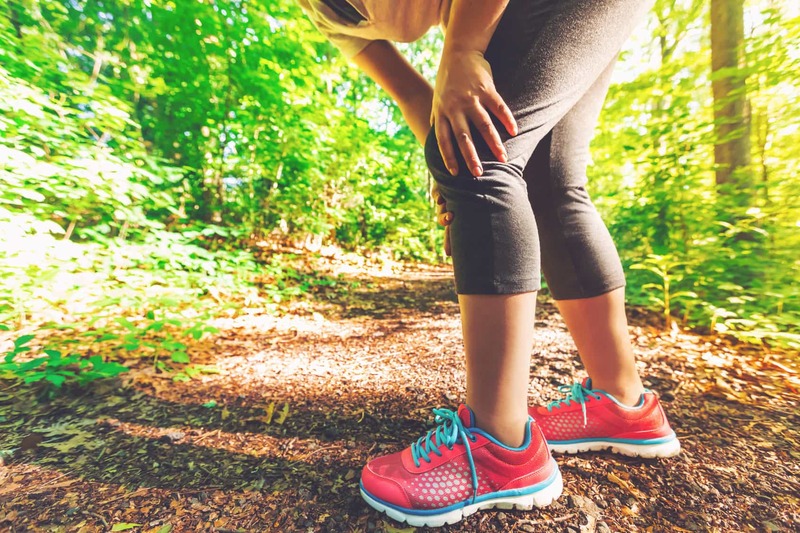 In essence, most of running-related pains and injuries can be boiled down to doing too much running too soon. That’s the classic mistake many runners make. Your body needs ample time to adapt to higher training loads. So, when it comes to avoiding injury, it’s key to ease yourself into running, then increase your training load slowly over several months. One of the best ways to achieve gradual progression is to follow the 10 percent principle. The 10PR states that you should never increase your training volume (regarding time or distance) by more than 10 percent from one week to the next. This principle is so relevant since the bulk of running injuries are overuse conditions. They, in general, happen when you run too much too soon, or drastically increase your weekly training load. First, make note of your current weekly mileage, then add 10 percent to the number. The next week, do the same. So, for example, if you run 12 miles per week, shoot for 13 or 13.5 miles next. This might seem like a slow progress, but after a couple of months, you’ll be running 20 miles or more a week, which is way more miles than Week One. If you’ve never run before and really out of shape, then the 10 percent rule might be too much. Instead, as a newbie, keep your weekly training volume the same for the first 4 to 6 weeks to allow your body to properly adjust. During the early stages of training, focus on training (walking, run/walking, or jogging) consistently and do not get tempted to do more than you can handle. Once you can run comfortably for 20 to 30 minutes without much huffing and puffing, then increase distance and/or time. My blog is full of practical training tips guaranteed to help you reach your running/fitness goals. But If I had to boil it down to one principle, listening to one’s body while training is the cardinal rule. As I have previously stated, most running injuries do not happen overnight. They don’t just come out of nowhere and blindside you. In fact, they come with warning signs, which include soreness, aches, discomfort, and persistent pain. But it’s up to you to make the right adjustments. If you ignore them, you could make the injury worse. So, if you experience severe tenderness or pain which persist during a run, consider reducing the intensity, distance, or frequency of your training. If taking a few days off is the only way to healing your pain, then you need to take the rest. Do not let your ego stand in your way. If your symptoms get better, return to your normal training load the next day, but keep your ears open during the warm-up and workout for any sign of trouble. Just don’t get me wrong. To improve, you need to regularly step out (and run) out of your comfort zone. That said, running pains are not created equal. In general, running pain comes in two forms: productive pain and unproductive pain. The secret here lies in being able to differentiate between the tow. Once you can tell which is which, you’ll be on your way to success. Productive pain is pain that brings fitness growth and stimulates your body to adapt. Typically, it takes the form of the usual aches that come with running. So, for instance, if you experience low-law fatigue or just mild soreness, feel free to continue with your planned run. Or, at the very least, consider modifying your schedule, or rest to accommodate your body’s needs. On the other hand, unproductive pain is just pain that leads to nowhere but injuries and burnouts. The warning signs of an impending injury. For that reason, never run through severe pain as it could turn niggling discomfort into a debilitating injury. Adequate sleep is not only critical to your overall health, but for your running performance and recovery too. Quality sleep can speed your recovery and muscle repair. According to a study in the MORE sleep. Research has also revealed that sleep deprivation—spending less than six hours under the sheets per night—can lower your immunity protection by up to 50 percent. That’s a considerable margin. In other words, your sleep schedule is as important as your training schedule. Sleep can provide you with the right environment required for optimal recovery. During deep sleep, the pituitary gland releases large quantities of the growth hormone—key for repair and recovery. This kicks off the vital cellular processes that initiate essential process such as muscle repair, red blood cell production, bones remodeling, glycogen restocking—all of which are critical factors for optimal recovery and performance. Nonetheless, and as a general guideline, aim to sleep at least 7 to 9 hours per night. That’s the amount of sleep recommended by most experts and accredited research papers. According to conventional wisdom, running shoes have a lifespan of 400 to 500 miles. The exact mile range depends on many factors, including training frequency, running surfaces, shoe model, your weight, etc. As a rule of thumb, replace your running shoes every once they reach that mileage range. For instance, if you are running 15 miles a week, you should consider changing your shoes by the fifth or sixth month mark. This does not mean that you should throw them in the trash—they might still look anew. You can always use them as casual footwear for walking. Note the date of the purchase of your shoes in your training journal so that after a few months of training you’ll know when it’s time for a change. When it’s time to get a new pair, visit a specialty running store—if that’s something you don’t already do. The expert staff at a specialty running store will ask you a lot of questions and assess your shoe needs, while taking into consideration your foot type and running gait. This can help you get the right shoes to protect your joints, muscles, tendons, and bones. The golden rule of comfortable winter running states that you should always keep your body well covered with the right fabrics and layers, period. Opt for high performance, synthetic fabrics. The best running clothing is made with advanced materials that warm easily and pull moisture away from the skin to the surface where it evaporates. This helps keep your body dry and comfortable. In general, your winter running wardrobe should include plenty of base layers breathable T-shirts, tights, long-sleeve shirts, gloves, headband or hat, and a running jacket. Further, to prevent slipping and falling, wear traction devices on your shoes if roads, sidewalks or trails have snow or ice cover. Once you have the right fabrics, it’s time to learn how to layer your winter gear the right way. The fabric next to your skin should be high-performance, sweat-wicking, and fits snugly. That’s why many runners prefer wearing tights for the waist down that wick moisture away from your skin to the outer layers. Suitable fabrics include lightweight polypropylene or polyester. For sub-freezing days, opt for a mid-layer that fits loosely. This helps with insulation and the transfer of moisture from the base layer away from the skin. Think wool or polyester fleece. The outer shell, or the third layer, should be waterproof and wind-resistant to protect you against the rain, snow, and wind. Opt for insulating fleeces, such as waterproof windbreakers and jackets. 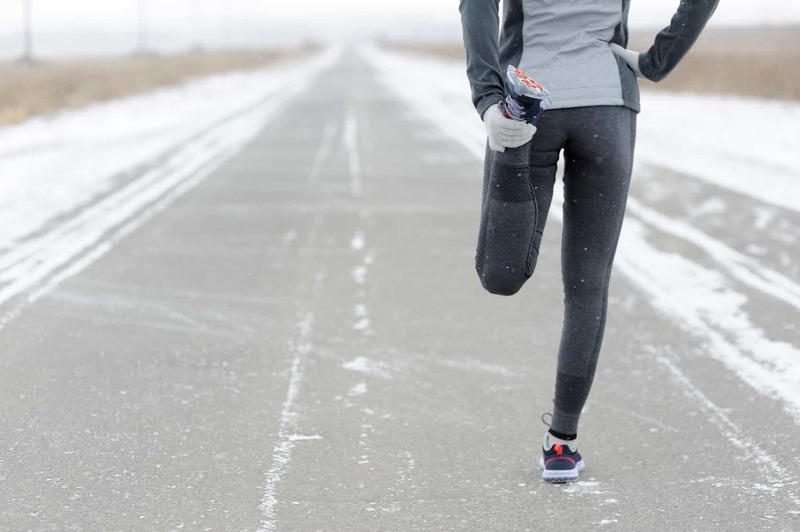 When running in cold weather, the outer shell should be removed unless it’s raining, very windy, or snowing. Apply a sweat-resistant sports moisture, lip balm to any hot spots prone to chapping or chaffing—mainly the lips, cheeks, and nose. We lose up to 40 percent of body heat from our heads, research shows. To prevent heat loss, wear a hat, preferably made with synthetic, wicking material. In freezing and windy conditions, opt for a face mask, or balaclava or scarf for more insulation and protection. During summer runs, heat-induced illnesses can be a serious threat. The first, and most common condition, is heat exhaustion. If you run too hard and/or too long in scorching temperatures, you might come down with heat exhaustion. The other risk is heat stroke, which is caused by an abrupt failure of the body’s thermoregulatory system. It happens when your body is no longer capable of cooling down or lowering its body temperature. Loss of consciousness in severe cases. So, if while running in the heat, you start feeling nauseated, dizzy, have the chills, or ceased sweating, stop running immediately, get out of the sun. Next, cool down with a drink, preferably in an air-conditioned room. That said, if your symptoms don’t improve in one hour or so, then contact a doctor or go to the emergency room immediately. And, please, keep in mind that heat-induced illnesses can be a life-threatening condition, requiring immediate emergency medical treatment. Failure to cool down the body can lead to severe organ failure, brain damage, even death. Unlike winter running, clothing rules for hot summer running are not that complicated. All you have to do is wear lightweight, breathable, and sweat-wicking clothing made with UPF fabrics. The fewer items, the better. Stay away from dark colors (they retain heat), and wear a hat and glasses to protect your head and face from the heat. Reassess your running routine and timing. Try exercising earlier in the day, or later in the evening, when temperatures are at their lowest. Drink plenty of water—whether you feel thirsty or not, and regardless of weather conditions. To do that, you need to build the habit of drinking water throughout the day. That’s, in my experience, the best way to make sure you’re drinking sufficient amounts every day. Drink before you doze off and drink first thing in the morning and before you step out of bed. Drink at least 12 to 20 ounces of water two hours before a run. Drink at least 8 ounces of water during runs lasting for more than 60 to 90 minutes. Do not forget about electrolytes. Sports drinks, such as Powerade, or Gatorade, are essential to consume for runs lasting an hour or longer. For more on this, check my full guide on how to stay properly hydrated while running. 7. Build a robust Kinetic Chain. 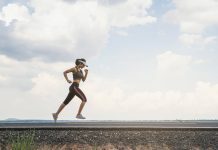 A lot can be gained from running, but as a one-dimensional, high-impact sport, running can also create muscle imbalances or make worse ones you already have. For that reason, you need to work on improving the mobility, strength, and efficiency of your kinetic chain. The muscles of your shoulders, arms, core, hips, and legs. Connective tissue from your head all the way to the feet. Since all of your body parts are connected via joints, movement at one joint affects movement at another joint in the kinetic chain. So, for example, the biomechanics of the feet influence those of the ankles. Likewise, the biomechanics of the ankles have an impact on those of the knee, and so on and so forth. 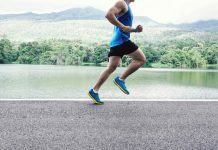 By the same token, any lack of strength, poor coordination or movement deficiency or anomaly as a result of imbalanced/weak/whatever/of muscles or joint will have a substantial impact on running technique, efficiency, and economy. In other words, when one link is out of balance, it can have adverse effects on the rest of the chain. In fact, a chain is only as strong as its weakest link, as the saying goes. When you add strength and mobility to the different components of your kinetic chain, you’ll, without a double, run faster, longer, and stay reasonably injury free for both the short-term and over the course of your running career. Here a few suggestions on how to build a stronger and more efficient kinetic chain. Perform three 45-60-mine total body strength sessions per week. Good exercises include squats, deadlifts, planks, pushups, lunges, etc. Check my routine here. Do yoga, especially any form of Vinyasa or power yoga. Check this YouTube Channel. A good yoga session should increase strength, flexibility, and mobility in the entire body. Foam roll regularly. Try this routine.